First deliveries are due in early 2019. Initial pricing makes it around £3000 more expensive than its main rival, the Audi A3 Saloon, while closely matching the price of the larger BMW 3 Series, for outright purchase, though, we expect monthly leasing rates to be “very similar”. There are two trim levels on offer at launch, with the UK entry-level being the Sport. AMG Line, which comes with AMG bodystyling is the second spec’ pack. At launch, there will be two engines to choose from: the 1.5-litre diesel A180d and 1.3-litre petrol A200. The A180d produces 114bhp and 184lb ft of torque, allowing the car to sprint from 0-62mph in 10.5sec, while top speed is 125mph. The A200 163bhp and 184lb ft of torque. The line-up is expected be expand shortly after the new four-door’s introduction with a more powerful, turbocharged 2.0-litre four-cylinder petrol unit producing 188bhp. A seven-speed dual clutch automatic transmission is standard across all models. 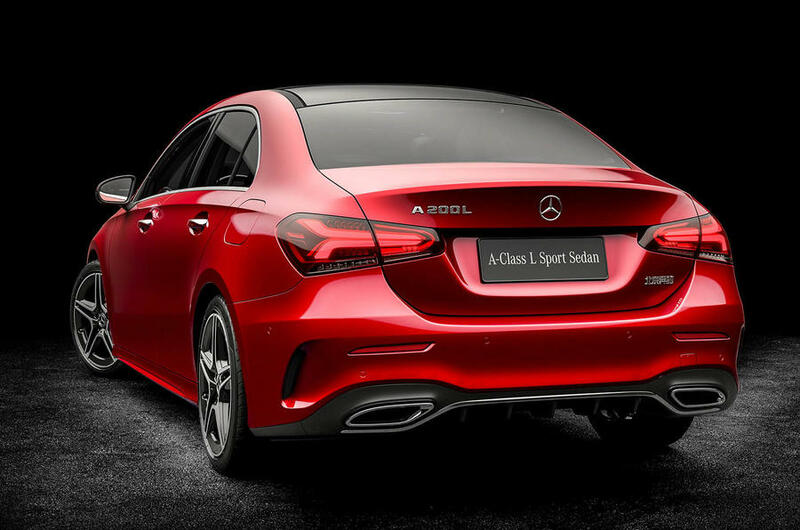 The A-Class Saloon is one of eight new compact models planned by the German car maker, including the latest A-Class hatchback, successors to the existing B-Class, CLA, CLA Shooting Brake and GLA, as well a new compact SUV that's likely to be named the GLB and a yet-to-be-confirmed model. 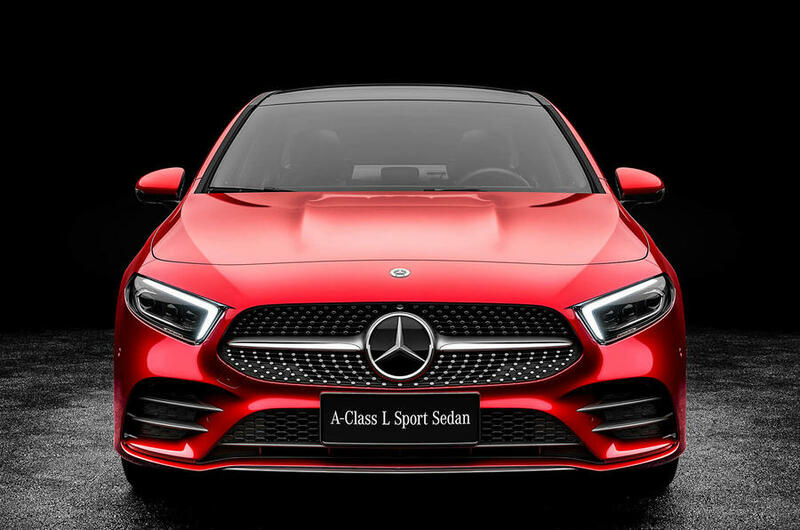 Inside, the A-Class Saloon adopts the same high-quality dashboard and advanced infotainment functions as its hatchback sibling, including Mercedes’ new MBUX operating system that introduces touchscreen control, conversational speech recognition and the ability for two users to connect simultaneously.